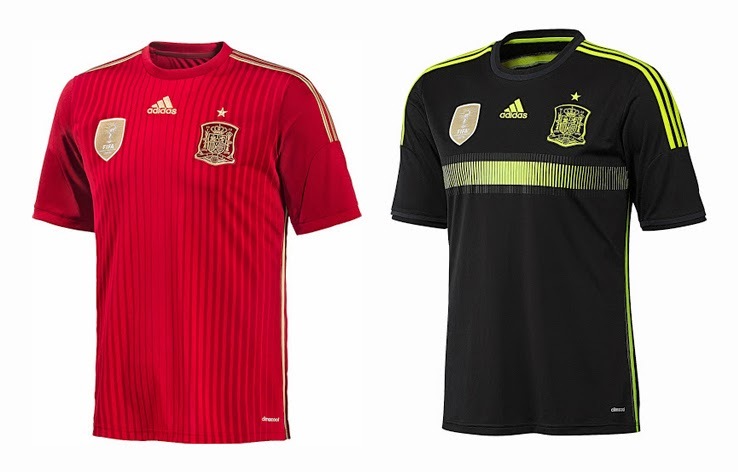 Group by group we are looking at the kits of this year's World Cup nations. We let you know what we think, and whether you agree or not is up to you, but you can let us know by commenting below. 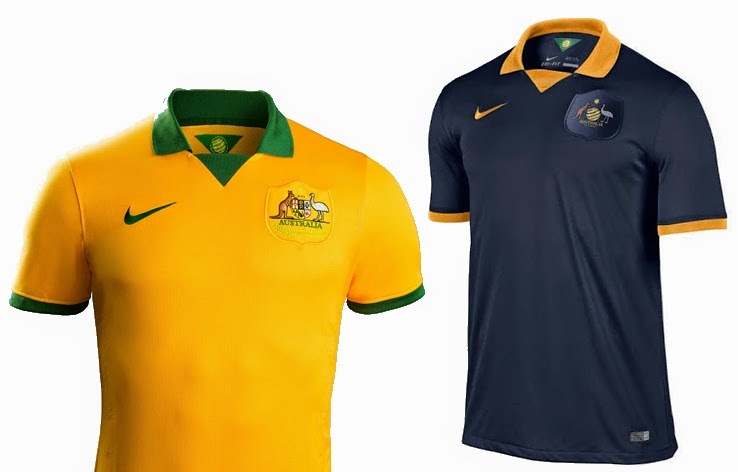 It seems that the "creatives" at Nike didn't bother spending too much time on the Aussies. Looking like a default kit you can purchase for your local school team, this attempt has basically no interesting detail or much thought behind it at all. It's classy, sure, and Eric Cantona would be very happy with the addition of the collar, but while simplicity is great at times, these shirts are quite boring. 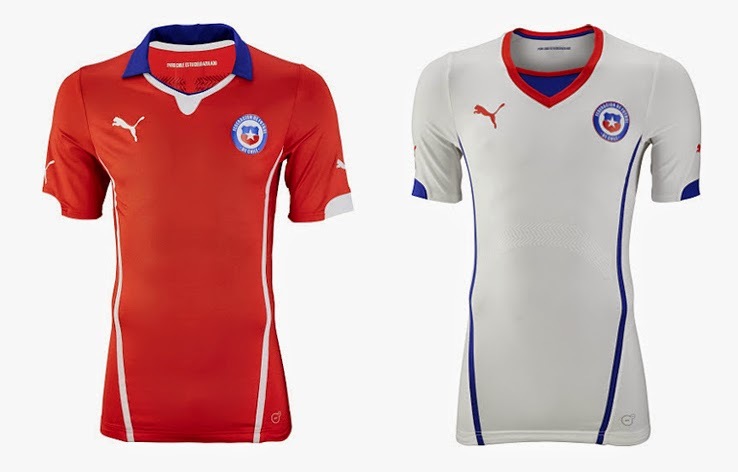 Great job by Puma to create a template that could fit Chile, Czech Rep., and even Serbia if they wanted to get away from their contract with Nike. We realize that most of the football kits now days are templated, but there is no reason why Puma cannot use a bit of imagination like they do with the shirts of the African nations. Maybe it's the orange color, maybe it's the medieval style crest, but unlike the Australian shirts, simplicity works well for the Dutch. 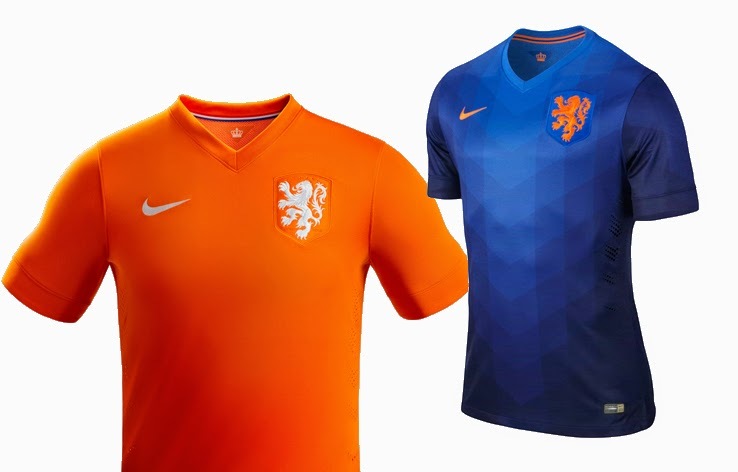 That, together with the dark blue away shirts, a style that resembles the Dutch away kits from the 1934 World cup, and then again in the late 90's, this combo is a very nice tribute to the Oranje of years past. It sure seems that Adidas has thrown traditions out the window today, but while it works for a team like Mexico, where a great concept was driving the design, it just doesn't work for the defending world champions Spain. The home shirt makes sense, with the gold trim very appropriate for a champion, but the fact that the shorts and socks will be red as well goes against Spain's tradition of wearing blue bottoms. The away kit, while definitely unique, will make La Furia Roja look like a team of referees has entered the field to play a match.